Initially the weather looked good for a few 50k attempts but things soon changed for the worse. Never the less James Hunneman in the Pirat and Rob Jarvis in the Cirrus took the bait and soon set off, conditions were not that brilliant but they pressed on. Rob decided that it was just too hard so quite rightly came back but James had got too far away to safely get back so pushed on but eventually the sink won the day and James had to pick a field. 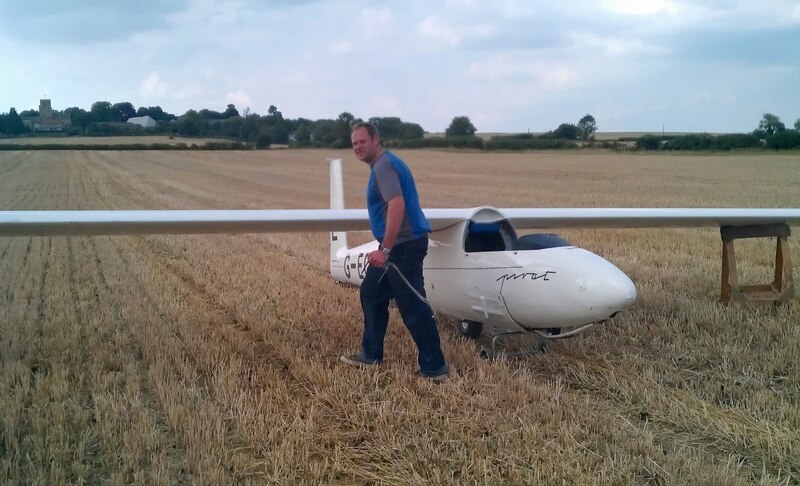 The stubble field that James landed in was perfect apart from one thing………….it had just been spread with manure. Still being an ex glider pilot the farmer was happy for James to be there and complemented him on his field selection. The condition of the field has prompted us to add something to the field check list. Size, slope, shape, stock, surface, shite!